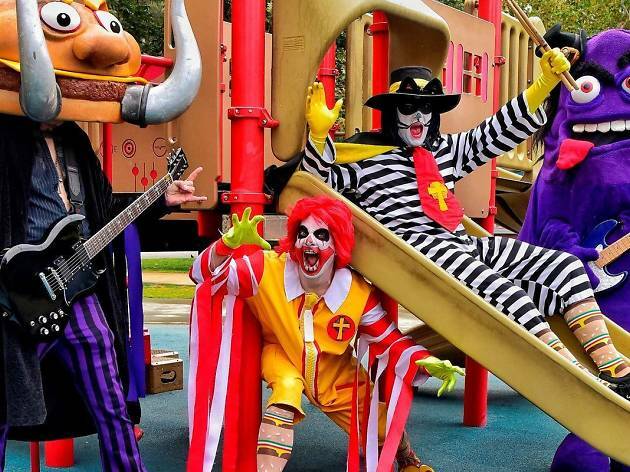 Black Sabbath may have called it quits (for good) last year, but Mac Sabbath has taken up the heavy metal torch. 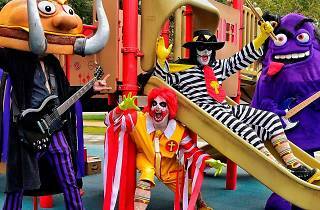 The McDonald's-themed tribute act performs as demented versions of the fast-food chain's mascot characters (with Ronald standing in for Ozzy), taking the band's classic riffs and retrofitting them with lyrics about supersized French fries and Fillet-O-Fish sandwiches. The group is joined by Galactic Empire, a band that dressed up in Star Wars costumes and performs metal renditions of John Williams' iconic score.